Casino Technology released new multigames with innovative concepts - Casino Inside - The gambling industry magazine! Casino Technology released new multigames with innovative concepts and presented them during BEGE Expo 2017, held in Sofia, Bulgaria. The game packs turned to be the ultimate hit at the trade show, attracting the interest of operators from the Balkans and Eastern Europe. The new game package with six titles GORILLA WHEEL™ was appretiated as an innovative solution with greates of potential. The entirely new concept of 4-level progressive jackpot is complemented with a high quality graphics. The general notion of the game set is a reflection of the company’s new conceptual quests. The GORILLA WHEEL™ is offered with the EZ MODULO™ slot machine. The successful cabinet was presented at the trade show in two different versions. The initial series are with two 27” HD monitors and attraction topper, the newly released variation is with 32” HD touch screen main monitor and the same uncompromising quality. Depending on operators needs and preferences, both machines are offered with the GORILLA WHEEL™ or with the full HD multigame pack SPEED KING™, consisting of 60 games. The products had an excellent inroad during BEGE Expo and multiple of installations are already agreed. Continuing to look for new opportunities in order to explore the full potential of the product, Casino Technology prepares an enhanced game pack for the EZ MODULO™ – the SPEED KING 2™. The new game mix – the TOWER 102™, including even more unique games, was admired by the operators as a very promissing successor of the already very popular first release – the TOWER 101™ multigame. Both unique game sets are offered with the TOWER Slant Top™ slot machine with 43” monitor and 4K resolution. The machine is amongst the most prefered cabinets on markets in Eastern Europe, showing excellent results and now is with improved game mix. The brand new version of the loved by the players multigame GAMOPOLIS SPEEDWAY™ rises up as a winning game set. After the success of the first series form 70 to 73, now GAMOPOLIS SPEEDWAY™ 74 is with enhanced performance and more exciting gaming features. The new game pack is available as an opportunity to upgrade the performance of the thousands of Casino Technology’s classic cabinets of AURORA™, installed in locations all over the world. During BEGE Expo Casino Technology made the premiere on the Balkans and the Eastern European markets of the luxurious slot machine – ARCH Titan™. The boutique machine offers quality and luxe, combining 42” horizontally curved full HD main monitor and 42” vertically curved top box for jackpot accumulations. Next by was presented the Casino Technology’s premium machine ARCH™ with the full HD dedicated game pack – GAMOPOLIS ARCH™, now with 60 titles. The contemporary slot machines, exiting games and new concepts of Casino Technology has gained excellent feedback during BEGE Expo with promising future prospects. The newest developments on the filed of online gaming were presented by the Interactive division of Casino Technology during the trade show BEGE Expo. The fully upgraded LEOPARD™ Online Platform was launched on the market just recently and gained excellent feedback from customers that already use it. Furthermore the Casino Technology’s Interactive division offers over 100 HTML5 games through the ELEPHANT™ Remote Game Server. “Both systems – LEOPARD™ and ELEPHANT™ are part of the BIG 5™ suite, offered by Casino Technology. The BIG 5™ provides a full range of tools for managing an omnichannel gaming business”, explains Stefan Enchev, Head of the Interactive division of Casino Technology. The backbone of the suite is the RHINO™ Casino Management System that enables the real-time decision making on casino floor issues with new upgraded modules and functionalities. For clients, preferring the use of tickets, the TITO Module was added. 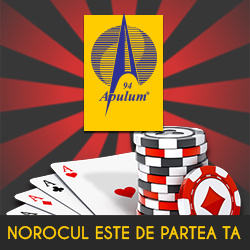 Casino Technology just recently opened new spacious representative office in the heart of Bucharest. Thus, continuing the processes of market expansion, the company has made yet another step in the direction. On 800 sq. m. the company`s team is there to serve the clients interests the best possible way, assuring them with the reliable partnership established. The new address is: Str. Barbu Văcărescu, nr. 162, floor 3, district 2.